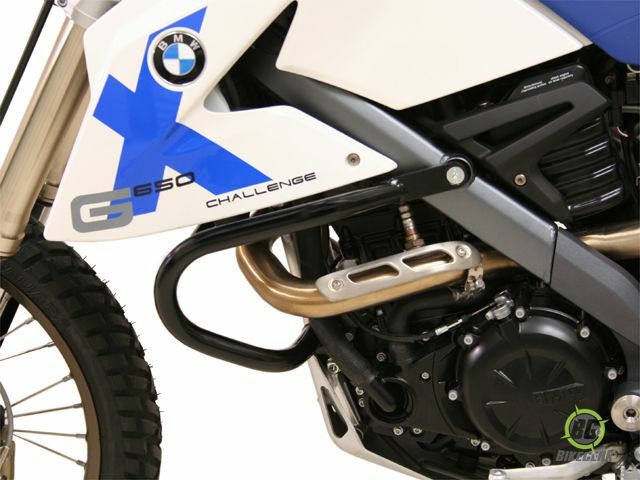 SW-MOTECH Crashbars for BMW G 650 X Country/Xmoto/Xchallenge provides maximum protection, optical integration, and high-quality fit and finish. 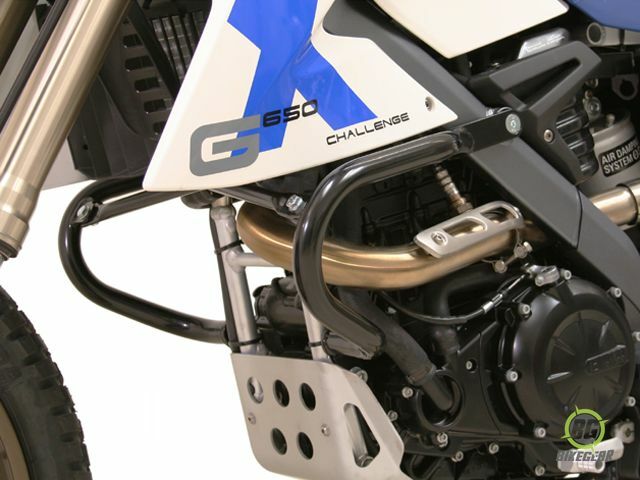 The Engine Protection Crashbars for the BMW G 650 X Country/Xmoto/Xchallenge features high-strength frame mounting points designed to provide maximum protection to both the engine and body work. 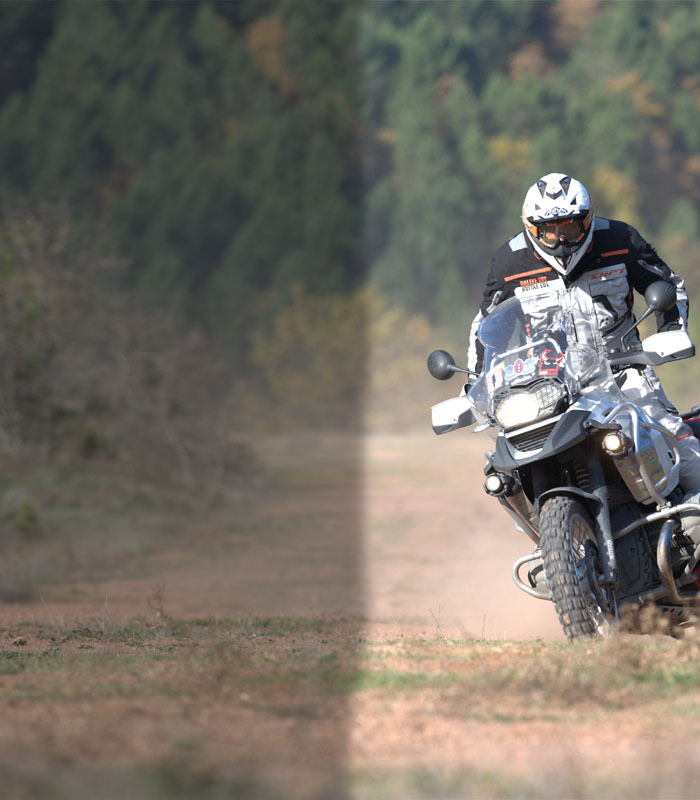 In the event of a bike being dropped, there are generally 3 points of contact with the ground: the handlebars, foot peg and the outer extremity of the bodywork. In the majority of cases, one of these points is where the bike will first make contact with the ground. SW-Motech engineers are critically aware of this and actually lay each bike on the ground to determine where the extremity of the bodywork of each model is relatively to the handlebar position. Included hardware and fittings are what you would expect from precision German engineering. No cutting or welding is required. All components are protected against corrosion by sandblasting and powder coating. High-strength frame mounting points. Black.